In a mixture of brown sugar, cardamom and nutmeg. As you can see, I didn’t make an apple strudel. I had a bunch of apricots, so I used them. They needed more sugar. I taped two large sheets of parchment to the table, since I didn't have a tablecloth. 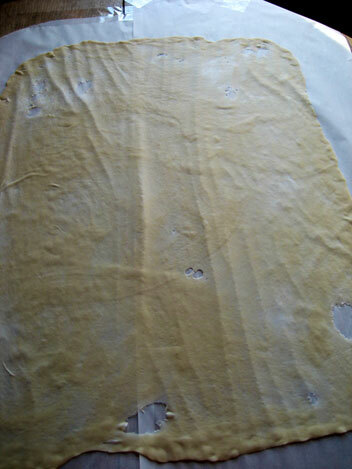 Part of the challenge was rolling out the dough so thin you could read through it. I sprinkled roughly chopped pistachios on a piece of the dough and arranged the apricots on top, then sprinkled it with a teeensy bit of rosewater. I didn’t have to form a horseshoe shape to fit the strudel on the pan, so…I didn’t. I don’t think it would have bent easily anyway. I had (for once!) extra egg whites, so I made some almond meringues to go along with the strudel. I don’t know why. But I like meringues! 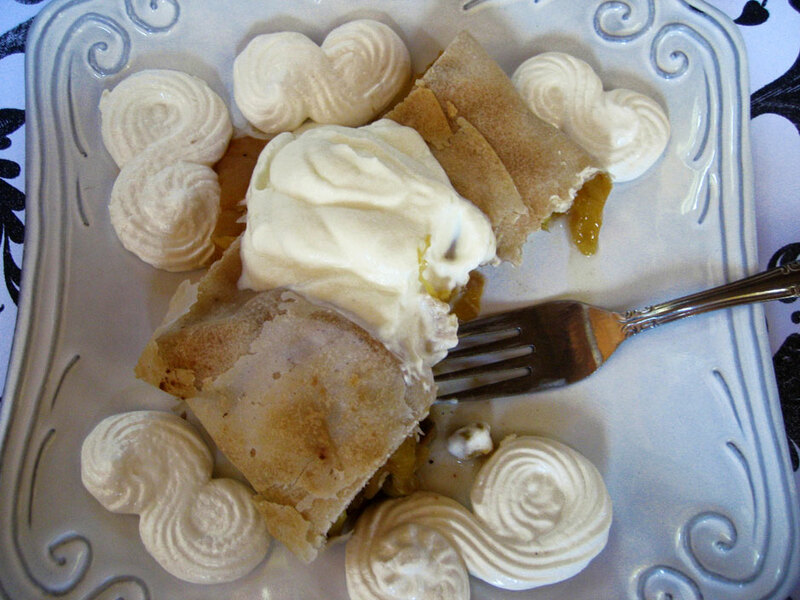 Unfortunately, it was hot this past weekend and the meringues were super-sticky, but with some really awesome vanilla sugar whipped cream and the tart apricots, it sort of all comes together. I think I’m going to try making some kind of brown sugar syrup to drizzle the leftovers with or something, since more sugar is really all it needs. I realize my strudel is unattractive, but I tried. 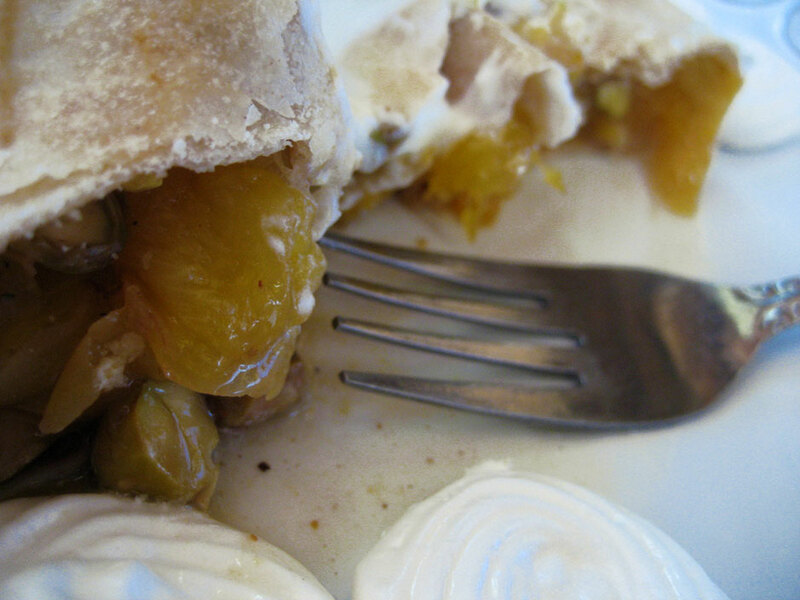 I did really like the cardamom with the apricots, though. They really brought out a fruitiness in the cardamom that I hadn’t really noticed before. Maybe I should've colored the meringues a little? I did have a lot of fun making and stretching the dough, and will absolutely do this again when I have another large amount of fruit. This ridiculous breakfast brought to you by my lack of hunger the day before, when this was fresh and better. 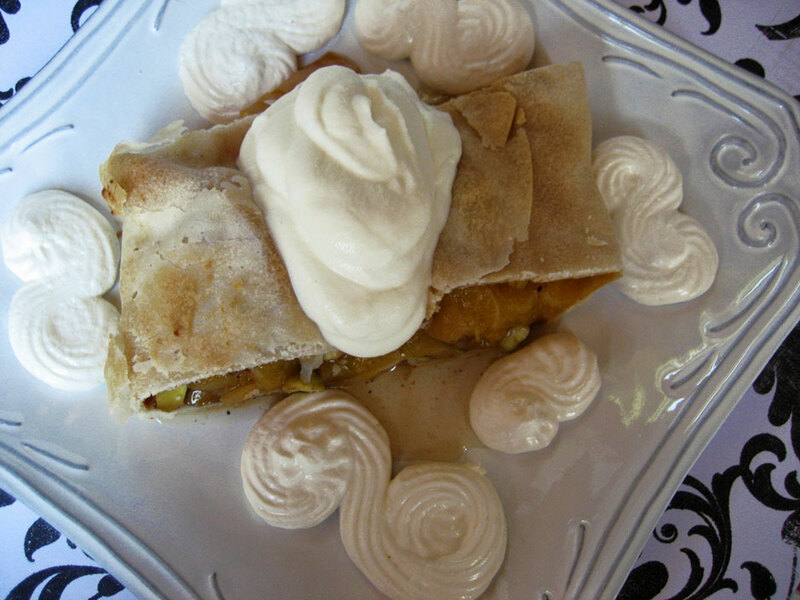 Or maybe I’ll make a savory one for dinner this week…hmm, I was contemplating pot pie, but strudel sounds better! Don't look so sad, pistachios! Thanks to Linda and Courtney for a challenge that was lots of fun, and, while I didn’t get perfect results the first time, it’s a recipe I know I’ll use again, sooo…double thanks for that! You can check out their blogs for the original recipe. Why do you call that ugly? Looks heavnly to me. Hey, I think this looks great! 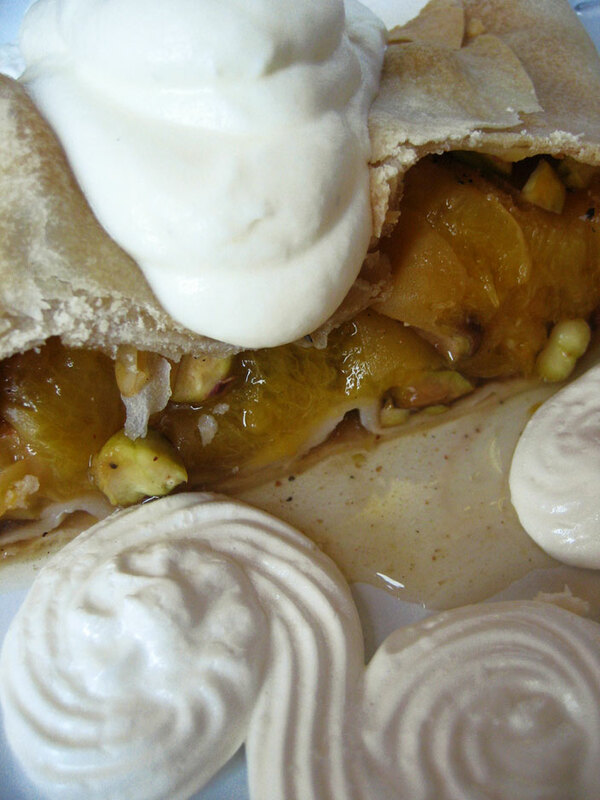 I love the meringue accompaniment and the apricot/pistachio combo sounds fabulous! What a beautiful presentation! I love the combination of ingredients in your filling too! I love the randomness of your meringues, brilliantly quirky! 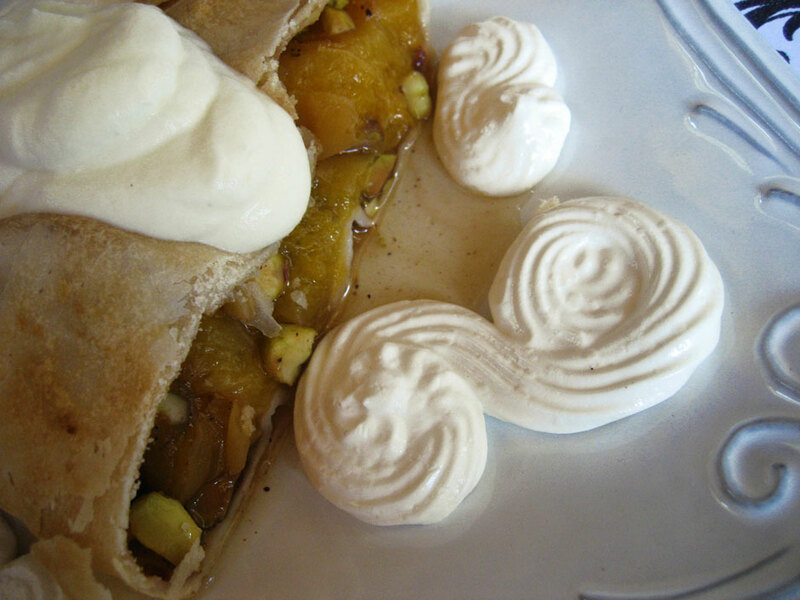 Lovely strudel and meringue pairing, and the apricot, pistachio, and rose water filling sounds delish! Yum! 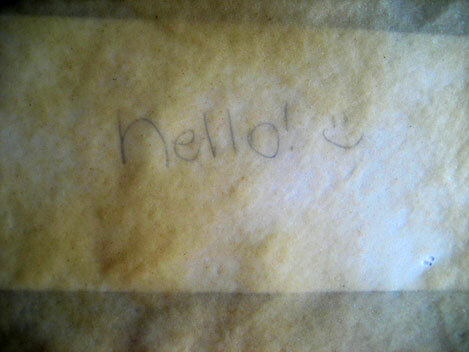 Your strudel looks awesome! I love the flavours you used =D. 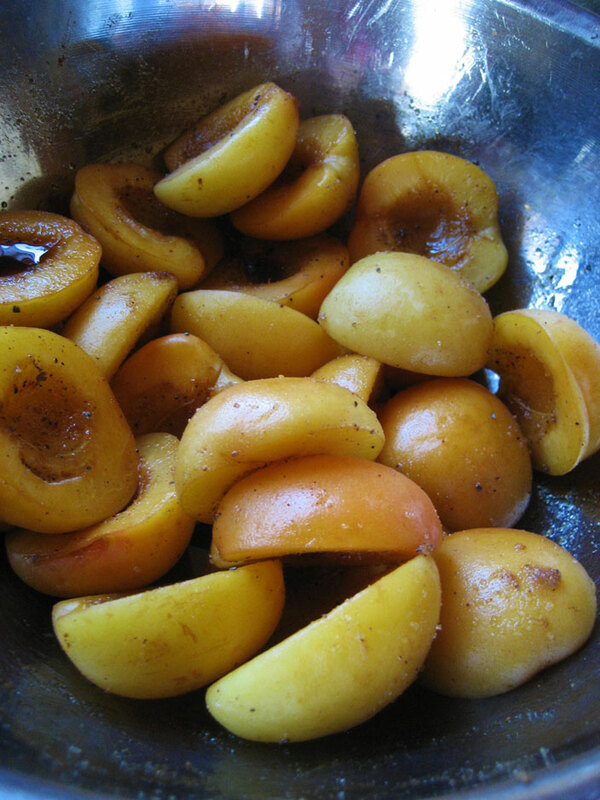 MMMMMMMM I love the idea of combing apricot, cardamom, nutmeg and brown sugar. I’m amazed at how thin you were able to get your dough. 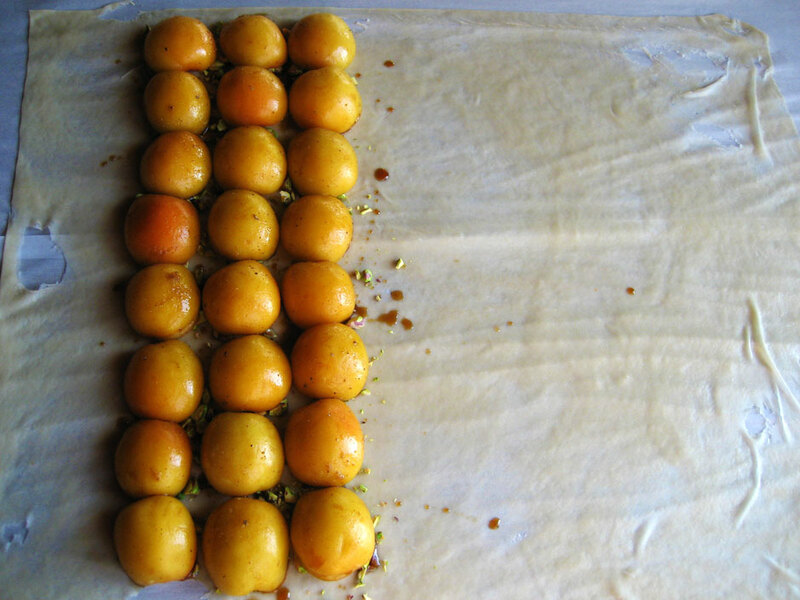 The way the apricots sort of poke out in that pic you have with the just-rolled strudel, looks kind of like something you’d see in a sci-fi movie lol. Great job!